Based in San Francisco, Betterment has everything built for the first-time investor. More than that, it caters to people who don’t have a lot to put into the market – at least, not in the beginning. They accomplish this with a series of user-friendly tools that work in the background – things that the investor will not be able to do on his or her own. These features are great, and they certainly have a place in the market. But are they really worth it for the more experienced and hands-on trader? Betterment has a wide variety of automation services, which makes things easier for the investor. Its asset allocation features analyze market risk, and the tax-loss harvesting helps to minimize your taxable investments. It will even rebalance your portfolio. Betterment boasts about how it can help someone plan their retirement with a selection of IRAs. The RetireGuide calculator can even help him or her build a long-term savings plan. They even have a selection of mutual funds to help a newbie build a long-term portfolio – all of which can go towards his or her retirement income. All of these features are great for the new or casual investor, but it doesn’t offer much for the more active trader. In fact, Betterment is not good for the short-term trader (such as a day trader). If you like to play the market a little more than the casual investor, you might find more value in a company like TD Ameritrade. While its fees are higher than Betterment, TD Ameritrade offers much more in terms of research tools and analyses. They charge $9.95 per trade, but you get a lot for your money. They offer a wealth of market information through a variety of quality charts and graphs. The mutual funds offered by TD Ameritrade are better quality than what you will find on Betterment, but you will wind up paying more up front. This might be an issue for the little guy, but for someone who has been around the block a few times might find more value in the extra cost. You will have to pay $49.99 a piece for a mutual fund on TD Ameritrade, which is high if you compare it to many of their competitors. But as I said before, you’re getting a lot for your money. Like Betterment, TD Ameritrade does not have an account minimum. So, you don’t need a lot to get started. However, you will have to pay more for a broker-assisted trade, which costs $44.99. If you’re a new investor, it might be an issue. But if you’re a little more seasoned, then chances are you won’t be using this service. TD Ameritrade gets their research data from a third party, which uses 34 different technical indicators. The charts are very easy to read, and they are simple to understand. So, there is no guesswork when it comes to analyzing the financial information being presented. The desktop application (what they call Thinkorswim) offers a variety of charts and graphs that are streamed in real time. So, you can be updated whenever there is a change in the market. The mobile apps offered by TD Ameritrade will benefit both the casual investor as well as the more active trader. The TD Ameritrade Mobile app is designed for the new investor or more casual trader, but the TD Ameritrade Mobile Trader app is designed for someone who is a little more advanced. There has been some criticism about having two mobile apps, and not just one. But in the grand scheme of things, this model seems to make sense. The most likely reason why they decided to go this route is so one set of data doesn’t get confused with the other. While Betterment is not suited for the more experienced and hands-on investor, it does have a lot to offer for someone who is just getting started. For the more active trader, TD Ameritrade has a wealth of market information, detailed charts, and graphs that will help anyone keep close tabs on the market. 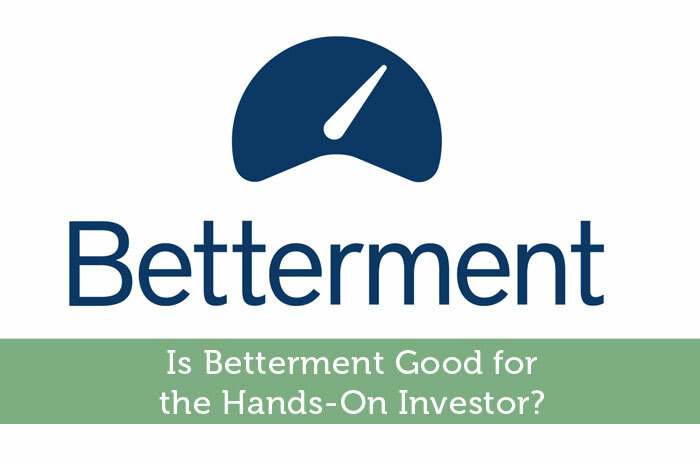 Is Betterment Good for the Hands-On Investor?